As many of you know, we are very fortunate to be a part of A Beautiful Mess in Agoura Hills, CA. Kymberly Fraser, Karen Chambers, Marilyn Thompson, Victoria Stoehr and Tina O'Flaherty are incredible at what they do and we can’t believe it’s already been one year since the store opened! In honor of this Anniversary, Kym & Team decided it would be great to offer all our wonderful followers and customers a chance to win some of the merchandise offered in "The Mess" as a way of saying, "Thank You for a great year!" So, we will be hosting a 6 week long giveaway (Yes, that's right 6 weeks filled with chances to win) featuring a different vendor in the store weekly and the item they will be offering for the weeks giveaway. 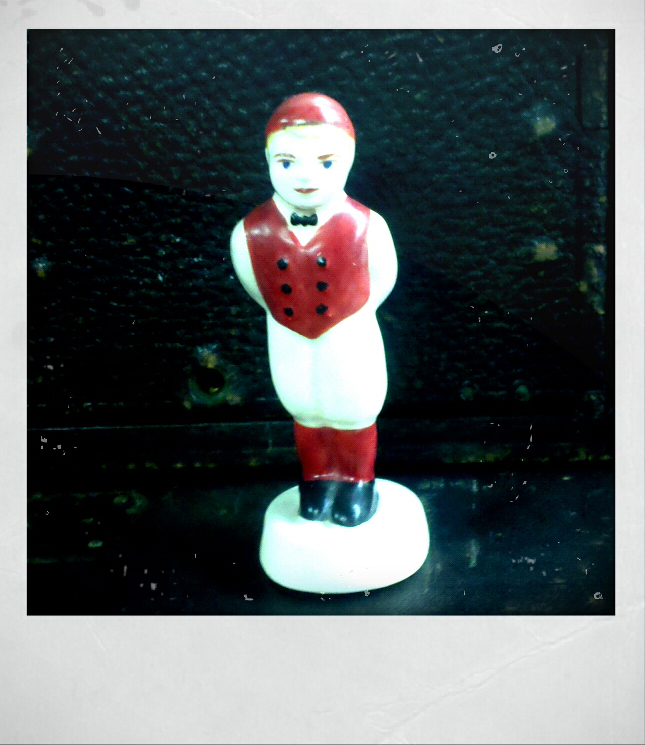 We're the featured vendor this week and Jenny is offering a piece of her art! 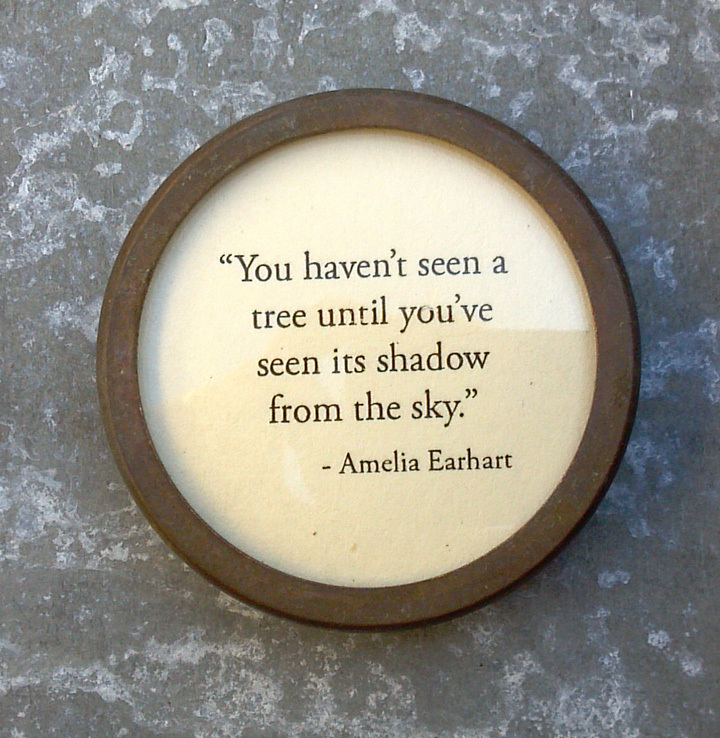 "I call this piece "Amelia" and have done numerous iterations of it, as it's always a favorite for me. 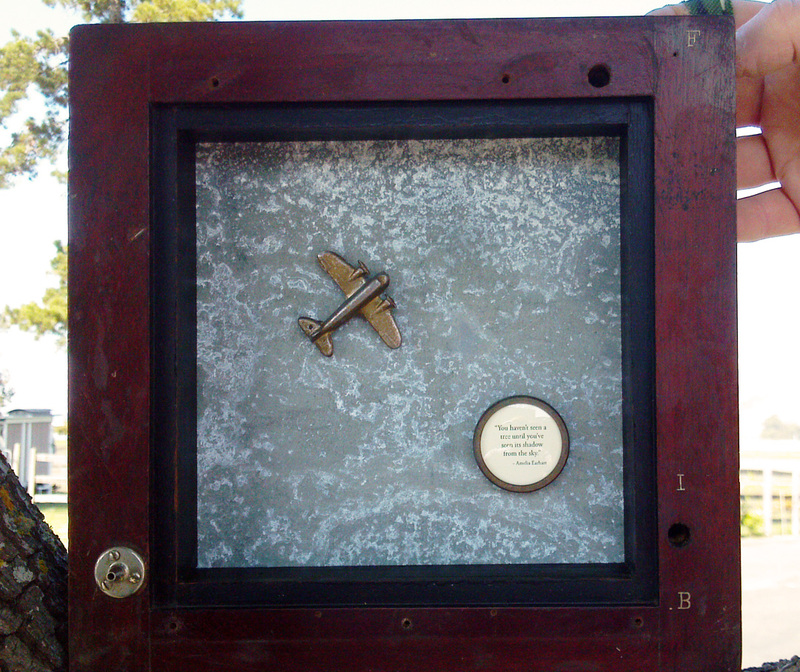 This piece is crafted using an antique mahogany photo enlarger section as the frame, the back panel is recycled zinc with an amazing patina that reminds me of clouds in the sky. The little airplane is an antique cast metal toy and the quote is housed in a recycled ring and covered with an antique watch crystal from France." Leave a comment at the end of the A Beautiful Mess blog post or Facebook Page. For additional entries, add it to your sidebar, or you can post about the giveaway on blogger and to any social networking sites, twitter, facebook, and blogger! The winner will be chosen the evening of Sunday, December 11, and their name will be announced with the "Giveaway item of the week" on the A Beautiful Mess Blog and Facebook page on Monday morning. 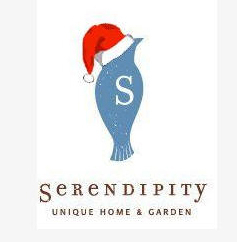 Come Spend Black Friday with us at Serendipity! One of the best parts of what we do is meeting all the wonderful people that come into our lives and Karrie Machado is one of those special people. We've known Karrie for a couple years and always looked forward to seeing her smiling face at our shows to include Remnants Of The Past and Three Speckled Hens. 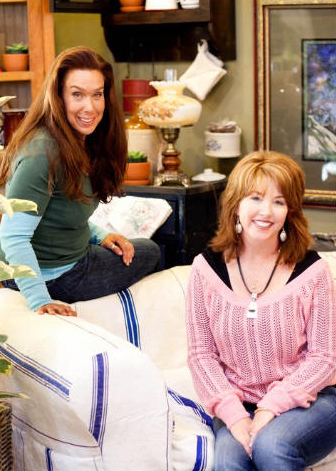 So, when Karrie decided to open her own store, Serendipity in Arroyo Grande AND feature us, we were absolutely honored! This woman is so supportive, has such an amazing eye and knows how to bring together & share the talent that she sees in others and we are so proud to be a big part of that mix. Her beautiful store in the Village of Arroyo Grande is a sight to behold! And wait until you see what Karrie, Charlotte and team have in store for this holiday season! They have been closed and decorating the store for the last 3 days and the big reveal is this Friday, November 25. And, we are excited to let you know that we'll be joining them all day, too! Melissa will be creating custom bling on the spot and we'll be bringing lots of fun treasures we've been saving up just for this day. 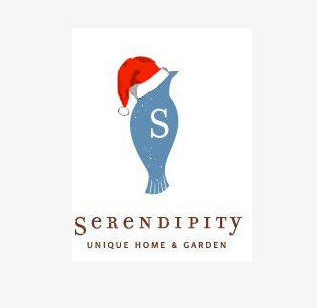 Serendipity is located at 148 W. Branch Street, in Arroyo Grande, CA and their phone number is 805-481-5100. You can also visit their website and be sure to follow them on Facebook. Alameda Point, Here We Come! 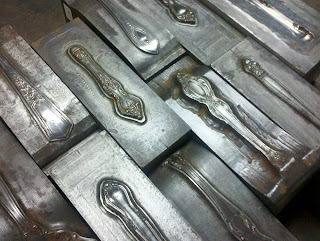 Silver Plate Dies = Heavy, Rare & So Cool! We LOVE selling at the Alameda Point Antiques Faire and we hunt and gather all month long in order to bring the best of our best. November will be no exception. This month we’ll be debuting our “Fresh Off The Truck” which is an actual vintage truck bed filled to overflowing with items like old cases, boxes and crates, theater lights, industrial cabinets, a zinc top table Jenny fashioned, wonderful old light fixtures, plus lots and lots of smalls. We’ll also have our bins-o-bits (a favorite of the artist), some of Jenny’s art, stands and objects, as well as these really rare & unique silver plate dies. Also new this month: the Bling Bar! An actual rolling table we fabricated and filled with charms on chains, bling and various assorted fun. The Alameda is held on the first Sunday of every month, so see you on Sunday, November 6th (also Melissa's Birthday and Daylight Savings ends so we get an extra hour of sleep :-) We're in Space B21. Please stop by and say hello! Yep! We finally did it. Welcome to our bright and shiny new JunkGirls blog. We'll be posting more very soon, so please stay tuned. Jenny K + Melissa J = The JunkGirls. We create Art, Lighting, Tables, Water Features, Objects, Jewelry and Home Décor by re-purposing recycled, vintage and antique items. We love what we do and look forward to sharing our adventures with you along the way. JunkGirlsTM Copyright JunkGirls, LLC 2009-2011. Picture Window theme. Theme images by billnoll. Powered by Blogger.